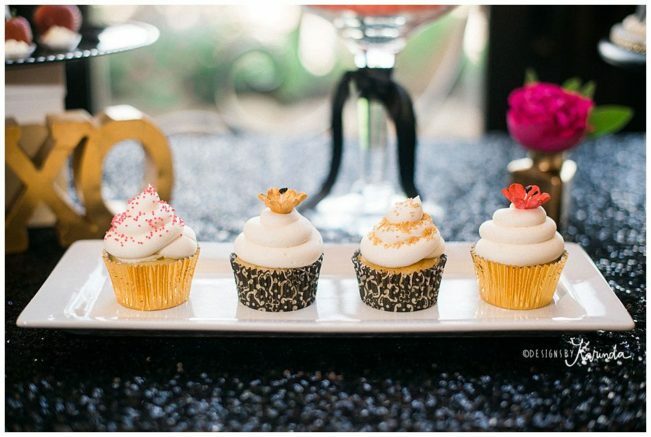 At Chocolate Encore, we are always trying to create new and unique ideas for chocolate! One cool thing we have added this year is Houston’s first inside S’mores Bar. Decorated with beautiful wood stain and unique iron accent pieces sets it apart from the traditional campfire campouts! 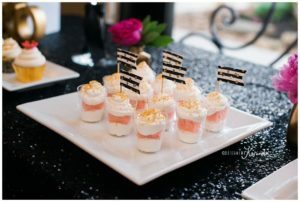 Guests get to create their own gooey fun treat by roasting a fluffy white or fun flavored marshmallow and layer it between crisp Graham Crackers and yummy chocolate pieces. 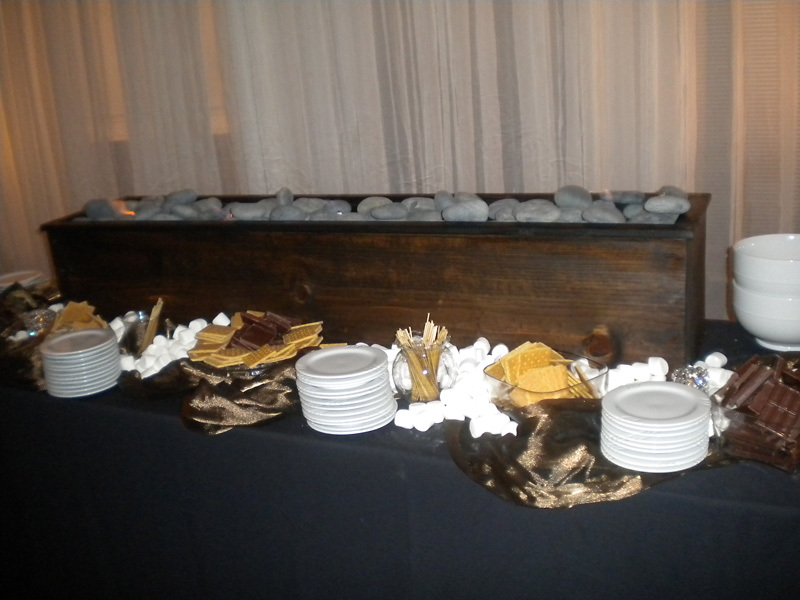 The s’mores bar can come with an attendant to assist your guests and make sure all the platters are kept full and ready to go. The stenos’ are super user friendly, so even the youngest attendant can enjoy making his own treat. 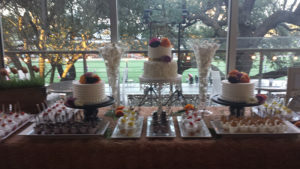 Adding the s’mores bar to your reception at an inside facility is unique and unexpected and takes even the seasoned party goers for a surprise!